Because of rarity due to higher price, more difficult finding an installer with experience in installing this shingle line.-It's a back-breaker to install and hard to cut. However, we at DFW Best Roofing have installed many homes with this unique cut. When you get into this type of roofing product you are certainly a discerning homeowner. At on average two to three times the cost of standard asphalt shingles these are for those wanting a high end look and feel. With very deep shading, that helps to keep the home cool. 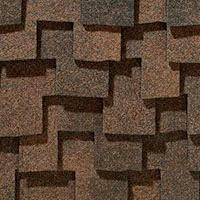 Comprised of double laminated layers this is one tough shingle that is built to last. 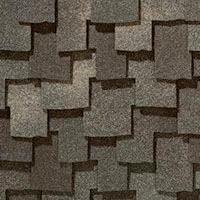 Presidential Shake is the original luxury shingle created to replicate the look of cedar shakes with the performance of fiber glass construction. Presidential Shake shingles deliver the charm and character of hand-split wood shakes with the durability and strength that presides over wood in virtually every surrounding. Presidential Shake TL, the luxury shingles with the look of cedar shakes and the performance of one of the finest composition roofing solutions in the industry.